A roofing business is difficult to start and is a headache to run, but if you do it right, with some luck and lots of hard work, it can be very profitable and rewarding. However, as with most new endeavors, the biggest challenge is starting and getting it off the ground. Here, we will walk you through this process and help you avoid most mistakes that new roofing contractors face. Along with this guide, we will provide a number of helpful online tools and resources that will help you along the way. We are not lawyers and we cannot give you legal advice, but here are a few steps you will need to take to register a legal roofing business. First, go to your secretary of state and register a new legal entity, preferably with limited liability. Most common choices for a new small businesses would be an LLC or an S-type Corporation. We can’t tell you which one is better, but here is a good article explaining the differences between the two, and explaining how you can get the best of both worlds. Second, you will need to get appropriate construction and roofing licenses required by your state or province. In Massachusetts, we are required to have a Construction Supervisor License (CSL) and a Home Improvement Contractor (HIC) registration in order to do any roofing work. In Connecticut and Rhode Island you need an HIC. Go to your state’s website to find out exactly what the requirements are. Third, and this is very important – get appropriate Liability and Worker’s Compensation (WC) insurance for roofing contractors. Many people either skip this step all together or get a cheaper siding installation or a general carpentry liability insurance and don’t get the worker’s comp at all. Roofing Liability insurance can run you anywhere from $3000 to over $10000 per year. 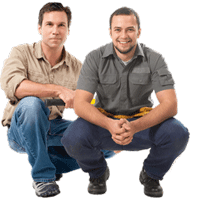 If you are working with a partner and don’t have any employees, you won’t really need WC insurance, as you both can be exempt from it, but getting it in any case (if you do hire help for some roofing jobs) is advisable. You can have a what I call “passive WC policy” where you declare yourself and your partner(s) exempt from coverage and have no employees, but have the coverage just in case you do hire someone in the future. In my experience, when we just started and had no workers, we had this policy, which cost us $500 per year, and after a year end audit, we would even get about $250 back. We highly recommend that you consult your insurance agent about both liability insurance and WC. Note, that having the paperwork listed above will help you easily pull building permits to install a new roof, and as far as I am aware, getting a building permit is required in most “civilized” 🙂 areas of US and Canada. Of course you can skip the above items all together, but sooner or later it will catch up to you, or you will be denied a permit and can potentially lose a good project due to lack of license and insurance. Also, if you do start a roofing job without a permit, a building inspector can drive by, see you working and put a stop-job order. As for me, I never wanted to have to explain to the client why we don’t or can’t produce a proof of insurance or a building permit, so we got all of these documents right when we opened the company. First, we recommend that you decide on what type of roofing business you plan to run. For example most companies start and continue with installing residential asphalt shingles roofs. While this is the easiest model of a roofing biz to run, there you will also face the most fierce competition. Between illegal and uninsured roofers, and those that run everything by the book, have great references, and charge for their work accordingly, it is difficult to make your new company stand out and get work. As a suggestion, you might want to go with a more unique type of roofing installation, or specialty roofing products. Choices are vast – you can specialize in slate roofing, copper roofs, clay tile, metal roofing, etc. You could also specialize in some type of flat roofing, though the flat roof market is mostly commercial, which makes it even more difficult to squeeze into, without good references, a decent crew, and good stockpile of cash to run the business. In commercial flat roofing, most clients will have payment terms of 30, 60 or even 90 days after the job is complete, so you will often be buying the roofing materials out of your own pocket and paying your guys with your own money, and it will be some time until you get paid. So if you plan to do commercial flat roof work, it will more than likely be a while till you start getting those jobs, so you’ll have to rely on other work for some time. Even if you can’t jump into commercial roofing right away for various reasons, there is still plenty of flat roofing work available, even for smaller contractors. For example, most commercial roofing companies will not work with homeowners (and I can’t blame them). These companies are used to installing 1000 square roofs on schools and shopping malls, and don’t have time for a 3 square roof porch. They have crews of 10 or more people and need to keep them busy, so they won’t spend 3 days selling a roofing job that will be installed in one day. Here is your niche market where you can make some money. Choose a quality roofing material or a specialty product, get good at installing it, and you will get work and strong references, and it will be easier to get business in the future. We recommend that you also get certified by the manufacturer of your choice, and train your guys to install that product well. We will expand on this topic in the quality of installation section of this article. A roofing business can only be successful if you actually have work, and this is the most important part of running this biz, with the quality of your work being equally as important. Although both good marketing and good roof installation are important, there will be no work without marketing. Both of them compliment each other and help you succeed. In today’s world of technology, the primary means of marketing your roofing business should be online marketing. You will need to create a great looking website for your roofing company and get your potential customers – local homeowners and small businesses to come to your website, believe in your ability to do best work for them, and “sell them” or convert them into customers. I could write a book on how we marketed our roofing company online, and how we struggled to get work in the beginning, but for the purposes of this guide, I will concentrate on a few key aspects of roofing marketing. Look forward to our future articles on how to market and advertise a roofing company. So, here are the most important things you will need to do to market your company and get work. Again, we live in the 21st century, and you will need to get yourself up to speed on the technology. In my personal opinion, Yellow Pages are dead… or will be dead soon, unless they dramatically change their business model. Today, you can get a website for $7.49 per year for .COM domain name and pay as little as $1.99 per month website hosting. Compare this to a typical half-page ad in the Yellow Pages which would cost you anywhere from $1500 per year to $4000+ per year depending on your region, local cost of living, and population density. Additionally, you have so much more flexibility with a virtually unlimited amount of information about your company that you can display on your website, as well as the flexibility to change and add info to the site. Just imagine you made a mistake in your ad, or something has changed, but the book was already printed, and delivered to the homeowners – you are screwed. Conversely, you can always change anything on your website. Just a word of caution – when you are building a new website, ALWAYS buy the domain name and website hosting (virtual place where your site is located) in your own name. If your “webmaster offers to do it for you and in their name – fire them right away, as they already have or will screw you or their other clients. I know of too many unscrupulous web designer horror stories. A great looking website with useful information about roofing problems your potential customers have, and how you will be the best contractor for them to solve these problems. Optimize your website so that it would appear at the top of search engines – Search Engine Optimization or SEO – this will provide your new business with a free, continuous flow of potential customers. Register your site on Google Local Search (now called Google Places) and other local listing places (Yelp, Merchant Circle, etc.). You could also try PPC or pay-per-click advertisement, but I strongly suggest you take care of the above three things first. Of course you will need to also have “word of mouth” marketing in place, but for that you will need a horde of happy and satisfied customers first. You can also try the old methods of advertising in local newspapers and Yellow Pages, but in our experience, those methods are too expensive, and inefficient. For more information, check out our guide on how to market your business online. Well – this is a tough one :). Every person has their own way of running and doing things, but here are a few things I’ve learned that a roofing contractor should do to be successful and to avoid many problems that may come along. Always do great work – treat your client’s roof, as if it was your own. Do the job right the first time, and you will never have to go back and fix your mistakes, which can also save you a ton of money and headaches. Be courteous and respectful with your customers, but also value yourself and your time. Have a well written, detailed contract that spells out everything your are to do, and if something is not in the contract, it should be paid for separately. Homeowners WILL take advantage of you, if you have vague wording in the contract. We have both a detailed standard contract form, as well as a blank contract / proposal, where we spell out in detail everything that will be done on a job – this is for cases when we don’t sign a contract during an estimate, but rather send it by mail for the client to sign and mail back to us. Use the technology – get a smart-phone such as an iPhone or an Android based phone with 3G or 4G internet, so you can check your email and communicate with clients, without having to go to the office. You can also use our roofing calculator app for iPhone and Android phones to quickly do a roof estimate and calculate your materials cost, as well as the total price for your client. Pros and cons of having a business partner – learn from my experience on whether you should go into business with a partner or fly solo – I give you my knowledge and you decide what works best for you. Roofing Prices Guide: learn how to price your roofing jobs – whether by the square or using Materials + Labor + Overhead + Profit method, which is used mostly in commercial roofing. Learn how to measure a roof correctly, so you won’t end up working for “free”, or even paying out of your pocket. Use our roofing materials calculator to estimate your roof size and calculate the cost and amount of your materials. Thank you for reading and good luck with your new endeavor – roofing business is anything but easy, and you will need that luck. I work swing shift in my full time job, and am formerly a 17 year veteren in the roofing industry. The last five years was spent QC management before the company went out of business. I am eager to get back into the field and am looking at starting a roof inspection service (no actual roofing work). I will provide roof management services, small commercial consultations, roof certs and inspection in the real estate market, and residential consultation and inspections. What is your opinion, is there market niche for this type of business? Roofing is a cutthroat business today. Businesses may lower the $ to compete, which may lower their quality. Many companies suddenly went out of business, stranding many with useless warranties. Market strategy is to ensure customers get the quality of roof they paid for. You will for the most part have to be in commercial roofing. There is no money in residential market for this type of work, as most homeowners will not want to pay you $1000 or so for your opinion and consolation (pardon me for being blunt). You can of course look for some contemporary homes, but those are VERY rare. We come across them maybe 2-3 time a year. In commercial, you will have a fierce competition with manufacturer-affiliate consultants / specifiers. I’m not saying it’s impossible – I honestly do not know that side of business well enough – I just know many people with decades of experience in commercial roofing, and base my opinion on what i’ve heard talking to them. Bottom line – you should probably try it – it does not require much investment in tools and equipment, and if you have enough funds to get by for a year – give it a shot. You will definitely need tons of personal connections with realtors, property managers, lawyers dealing with commercial real estate, roofers, manufacturers, etc. etc. etc. This is much more of a “connections” type business, compared to installing – where you can just advertise your way into the market. You really need to think through the “how you will market yourself, and make money” part before you start. One more thing I wanted to mention – I never wanted to take my roofing biz to above 1 mil – I did not need the hassle and headaches that come with it. My ex partner is doing a few mil / yr (i don’t really know how much – but I think between 2-4 mil), and I don’t think he is very happy when it comes to running that behemoth of a company … it is such a pain in the @s$ .. i’ve talked to many “big” or formerly big guys, and they all say that you make same about of money, whether you do 1 million in sales / year or 5 millions. Reason is – big jobs automatically involve GC’s / big builders, who are looking for a chance to screw you. Also, you cannot do a $750,000 project with just in-house guys – you will need a crew of 10 guys to pull it off, and what happens when job is done and there are no more big projects, and you cannot keep them busy? Naturally you start working with subs – so the quality of YOUR work drops like rock! Bottom line – I never needed these headaches, and recommend you the same … but then again – to each his own. I saw your comment when I approved it way back when, but just now came across it and now have time to respond. So – please hint at what secrets I might be witholding, so I can make them public knowledge. I really don’t mind sharing my experience – just tell me what you are looking for. Here is a thing. I am personally not sure if I am a good salesman, but I know for a fact that I will outsell my seles guy in terms of humber of jobs by about 40%, and also will sell those jobs an average of 20% higher. I actually wanted to test myself in mass sales – go as a salesman for a big residential roofing company just to see how much I can sell. The reason I wanted to do so – roofs that we install are niche products – PVC single ply roofs and Metal Roofs – by being exclusive, we are also limited to the number of jobs we can get – purely on price. So I wanted to try asphalt shingles sales just to see how I do. I might actually do this experiment for a couple of months as my I am not doing as many sales right now anyway, since I am now more involved with marketing aspects. I own an operate a local roofing biz (est. 2008). As I’m always trying to improve my clientele, I search for helpful advise at my young age. Where your info provided here is, not only helpful, curcual when “thinking” about starting a roofing biz. After reading this, I know you withold more info, info that could be life changing for guys like myself…guys that do our best, the best for ea. & every client, to prosper on an only imaginable level. A level we dream of (10 million a year), a dream that’s 12months of, not only hard work and luck, but particular biz skills to get there. Futhermore, great info! I hope to see more from you, you as the possible open book for success!? Never know!! !